Hi! Welcome to my small corner of the internet, where you can see the slice of life of Mickey, a sassy cat who won't hesitate to dish out tough love, and his 'hooman' Suzy, a girl who can understand cat-speak. They encounter magical worlds, everyday scenarios, and random things together. 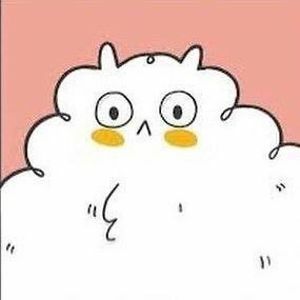 I started this webcomic in mid-October 2018, after years of only drawing intermittently. I'd been feeling discouraged about making art, especially when I'd come back home from work and look at all the existing art out there -- it was all at once inspiring and daunting to try to pick up my pen again. Upon discovering Inktober, I decided to tackle the challenge by drawing whatever I wanted, without feeling like I had to create the *perfect* final product. From that experimentation, this daily comic was born and has continued since. I enjoy animation, comics, and story-telling in general, so this is my way of creating a world that will hopefully bring in new characters as time goes on and make people smile. I hope you can feel the joy and love that went into every single comic. Enjoy! Why haven't I thought to do that? It's perfect! I would disinherit my sister. I need a Green cat too! Everything's better with a box. 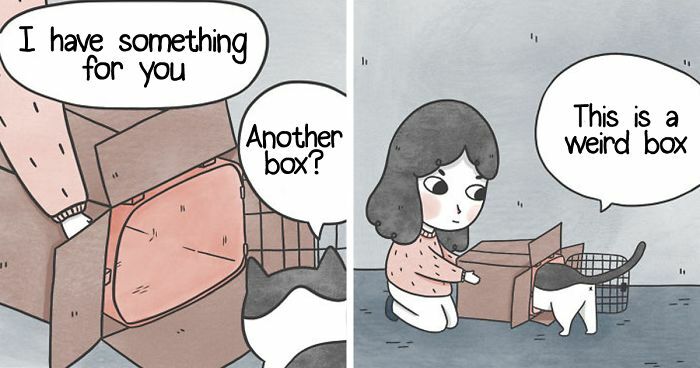 Cat & Cat Comics, a webcomic created by Susie Yi, shows a slice of life of a girl and her cat. It stars Suzy, Mickey (the cat), and Robocat, with future plans to include more adorable characters!